Home » Lifestyle News » Now, your KFC is One-Click away! Finger lickin' good now is just a click away! KFC has recently rolled out its One-Click ordering system, with the launch of a physical and virtual, KFC One-Click Button. The physical KFC One-Click button is a device that allows customers to order their favorite KFC menu items, with just a simple click. It needs a one-time setup to connect to your wi-fi and load your favorite order. When pressed, customers receive a smartphone notification allowing you to confirm or cancel the order. Confirm, and get ready for a delivery of your favoyrite KFC chicken! In its virtual avatar, the KFC One-Click is available on the KFC app and website. Set up is simple. All you have to do is register, log-in and click on the One-Click virtual button. Ordering food online has never been this simple, quick and hassle-free! Commenting on the launch, Lluis Ruiz Ribot, CMO, KFC India, said, "The KFC One-Click button is a disruptive tech-innovation that makes ordering food super-easy and fun. With the One-Click we are creating a whole new-ordering experience in the QSR category and we are confident that it will drive engagement and give impetus to our online ordering." Excited? Want to get your hands on the One-Click button? 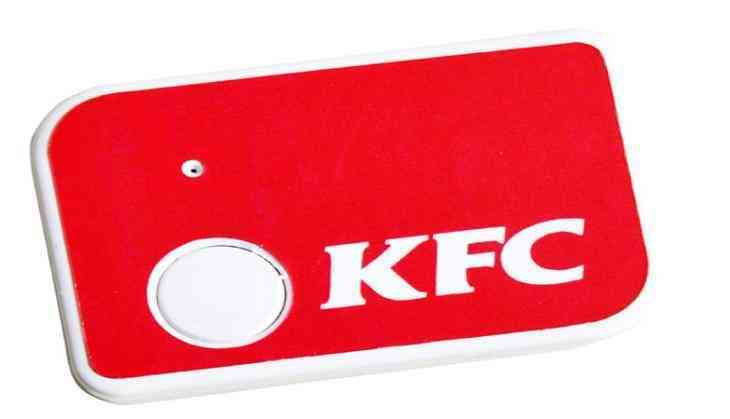 Well, you could be one of the 2000 lucky KFC fans who stand a chance to win the pocket-sized physical One-Click Button!